Paul Brown gets Aces, Mason Rosenberg (above, left) flops the nut straight and all the chips go in the middle. Brown turns a flush draw but misses and Rosenberg wins his 3rd round Head to Head Championships match. With that match victory, Rosenberg moves in to the Money Round and secures the 2017 Ante Up Words Player of the Series title. Rosenberg wins an entry in this weekend's $500,000 Guaranteed Ante Up World Championship and a one-night stay at Thunder Valley. His Money Round challenger is Mike Postle (above, right), who finishes as Player of the Series runner-up. Just think, if this heads-up match was also for the Series Champion title as well. Postle earns $200 at High Steaks Steakhouse and a one-night stay at Thunder Valley. How close did the Player of the Series race end? If Postle wins out, Rosenberg wins by a 405-401 total. 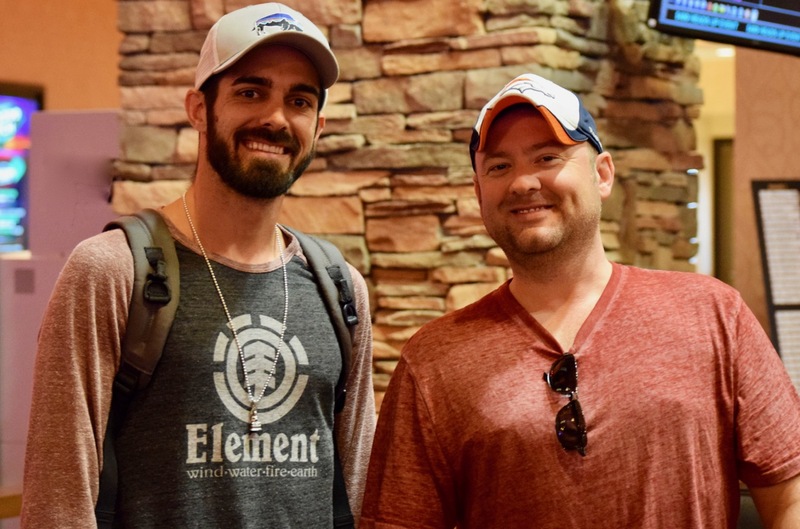 Rosenberg ends with 7 cashes and Postle 6 through the 14 qualifying tournaments. 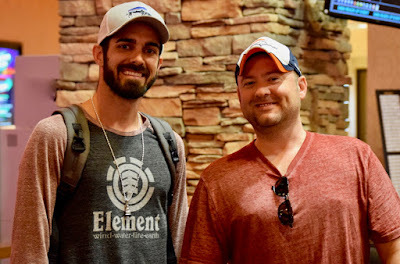 Third place - $100 at Red Lantern and a one-night stay at Thunder Valley - is still undetermined with Matt Boddorf currently holding third but Bill Watchman can overtake him with a victory in this event.